This is an RF data modem working at 2.4 GHz frequency in the half-duplex mode with automatic switching of receive/transmit mode with LED indication. Receives and Transmits serial data baud rate of 9600 bps at a 5V level for direct interfacing to microcontrollers. RF modem can be used for applications that need two-way wireless data transmission. It features high data rate and longer transmission distance. The communication protocol is self-controlled and completely transparent to the user interface. The module can be embedded into your current design so that wireless communication can be set up easily. 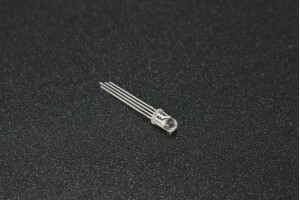 · Transparent to the microcontroller, No special programming or configuration required. 5V = 5V supply input.